Complete with truck, box, packing & shipping carton. Measures approximately 11″ in length. 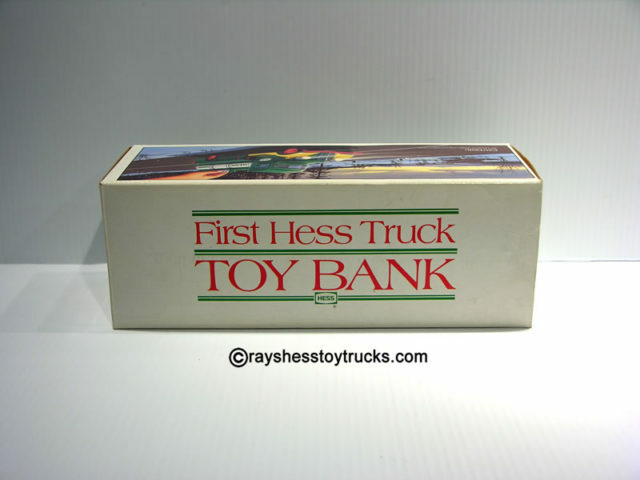 The truck is a redesign of the 1982 First Hess Truck. This version features a coin slot on the center storage tank, converting the truck into a savings bank. 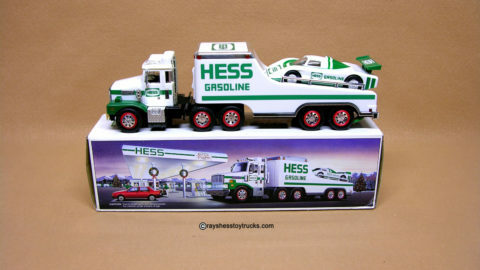 It is the last Hess truck to use the traditional Green color scheme. Box has a picture on the side of the truck driving down a road with snow covering the countryside. One side has a hand depositing a quarter into the coin slot. End flaps, again like the 1984, have a picture of the front and rear of the truck. Battery instructions are also on the bottom of the box. The battery compartment is clean and all the lights are working. Box is complete with both top & bottom inserts, shipping carton from Hess & Season’s Greetings card. 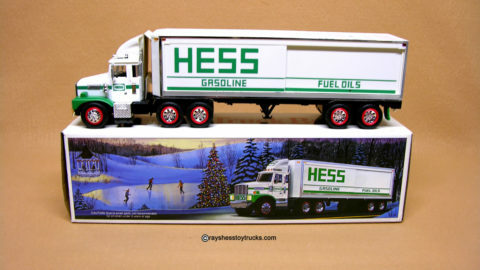 Notice the rare label on the end of the box from Hess!